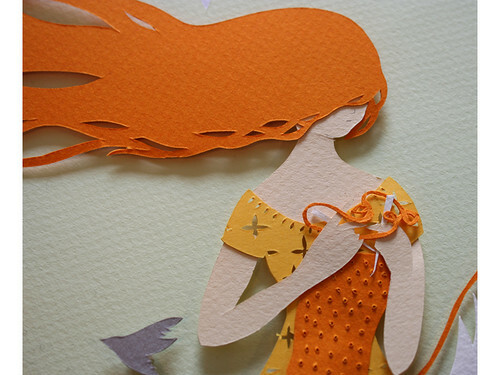 Let's have a look at delightfully fresh paper illustrations by Sarah Dennis, a freelance artist in Bristol, England. 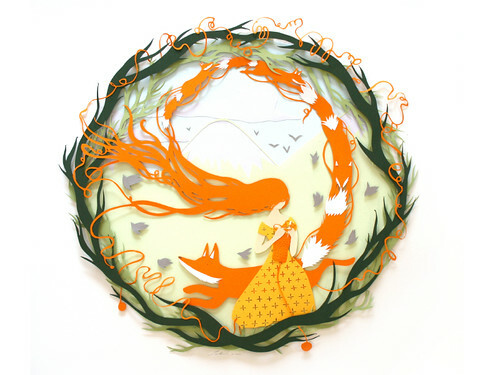 Her work combines paper cutting with sculptured elements, and often features fairy, folk tale, or nature themes that she brings to life in delicate detail. 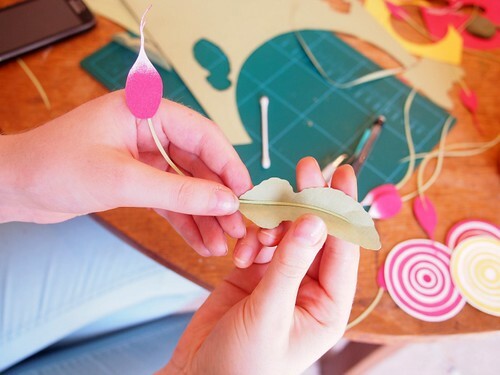 Sarah has created children's books, editorial designs, animations, privately commissioned pieces, and teaches paper cutting classes. Knitting Fox (above) and Jellyfish (below) appear to be in motion! 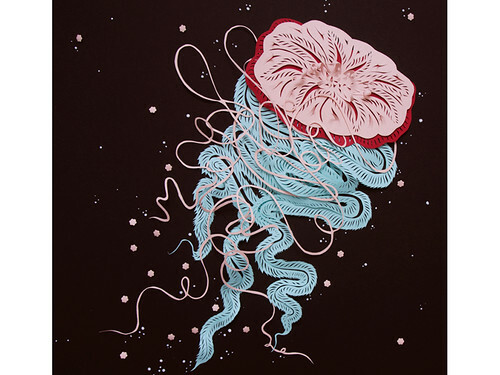 Jellyfish was recently featured in the Paper Cuts group show at Spoke Art in San Francisco. 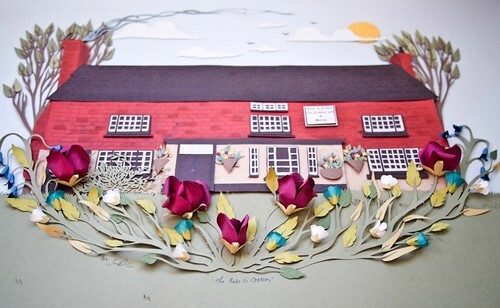 Sarah's latest collection was created for Rose & Crown, a Cuckfield restaurant recently launched by her brother (the chef) and father (the foodie). 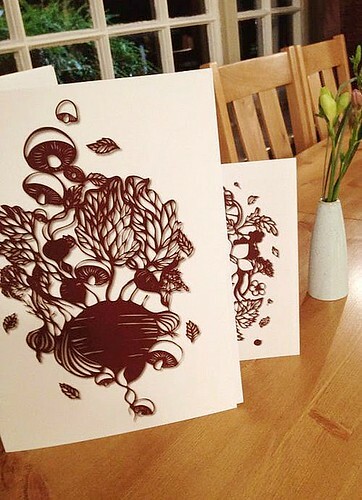 ...as well as tasty paper cut vegetables that adorn the walls as framed artwork. 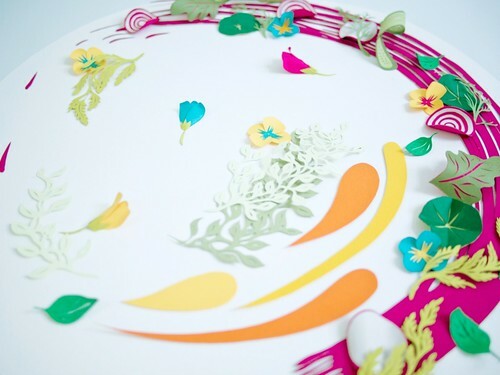 What a treat it would be to visit the restaurant and be greeted by Sarah's paper creations! Here's her whimsical interpretation of a beetroot salad. Visit Sarah's new website. She blogs and can also be found on Instagram, Facebook, and Twitter. Amazing artist!!!! 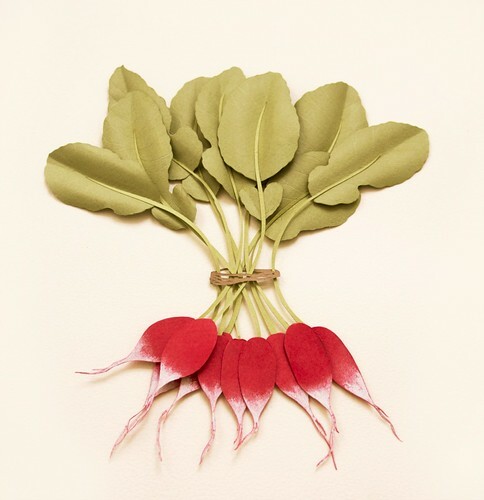 love her paper sculpture radishes.So very inspiring. The jellyfish and menu covers are amazing!